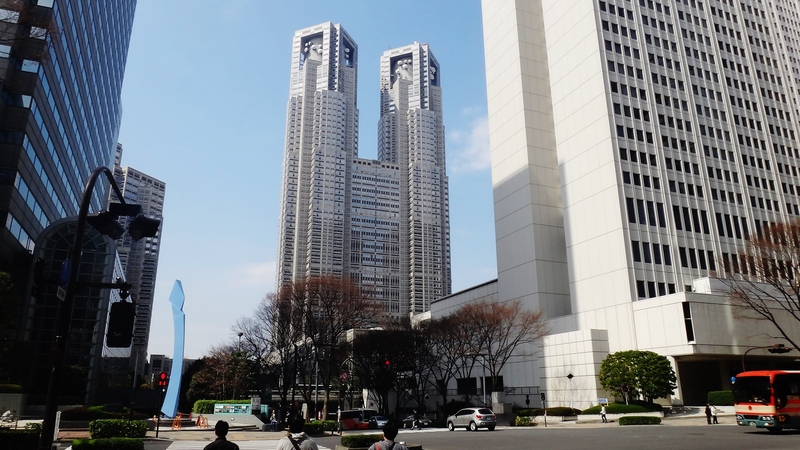 Choosing the ten “best” buildings in all of Tokyo is a necessarily arbitrary task, so I admit there’s no science behind this list. However, I did follow these guiding principles: 1) have I been there? 2) is it memorable? 3) is it culturally or historically significant? Also, I’m not including “traditional” religious sites. Tokyo’s many temples and shrines are in a category of their own. And I’m not including Tokyo Tower, because you are bound to see it without even trying. Nor will I mention any of eye-catching buildings of Ginza, as none of them stand above the others with regards to cultural significance. And lastly, with one exception, I haven’t selected any private homes; as I’ve described in other posts, Tokyo has countless distinctive contemporary homes that make architecture students drool. Yet the thought of selecting one specific example feels even more arbitrary than what I’ve ended up with. Tokyo Station celebrated its 100th birthday in 2014, two years after extensive renovations restored the station’s facade to its pre-war condition. The primary aesthetic improvement is the restoration of the structure’s central roof and pair of side domes. 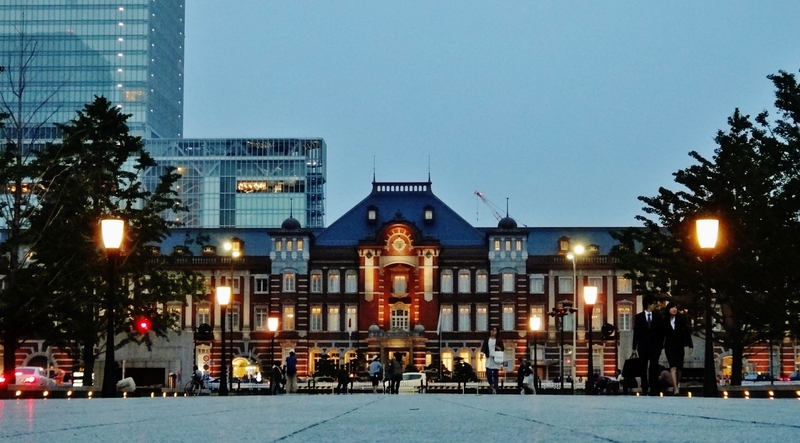 Although the Tokyo Station was completed in the Taishō period, I consider it a prime example of “Meiji architecture”, a style that often incorporated brick or stone and modeled itself on the European tradition. When I first visited Japan in 2010 I flew into Narita, then took a train straight to Tokyo Station. 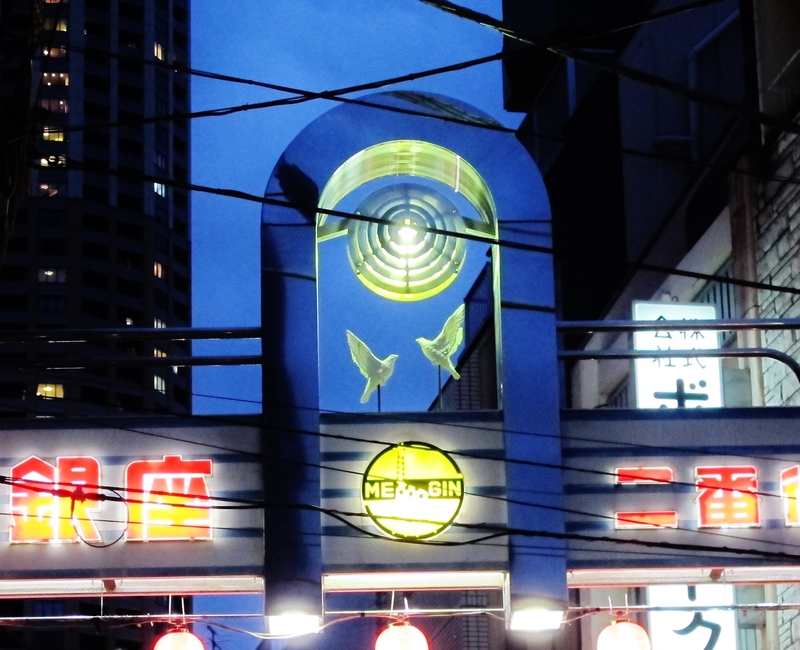 To me, it is the center of Tokyo, the center of Japan. The station’s surroundings are unlike other busy stations in Tokyo. 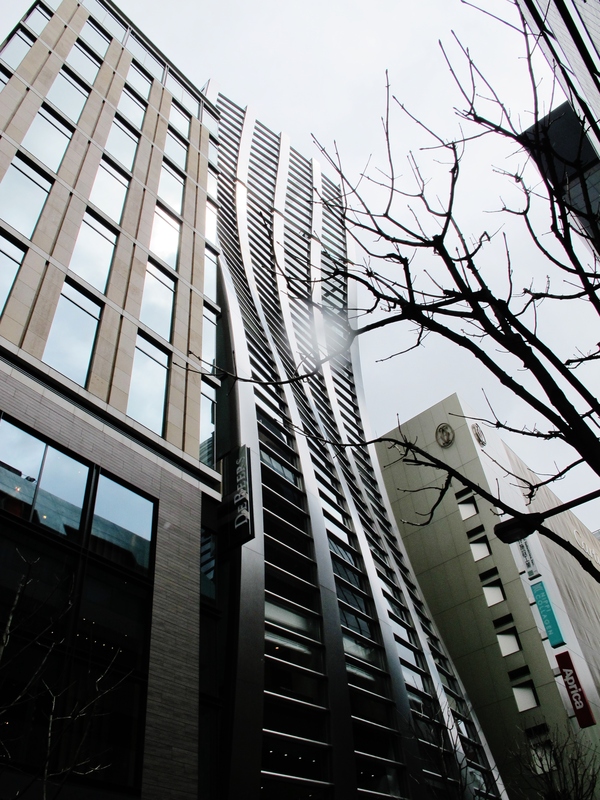 It is more grown-up than Shibuya, classier than Shinjuku. The station abuts Ginza on the east, and Maranouchi and Otemachi on the west. 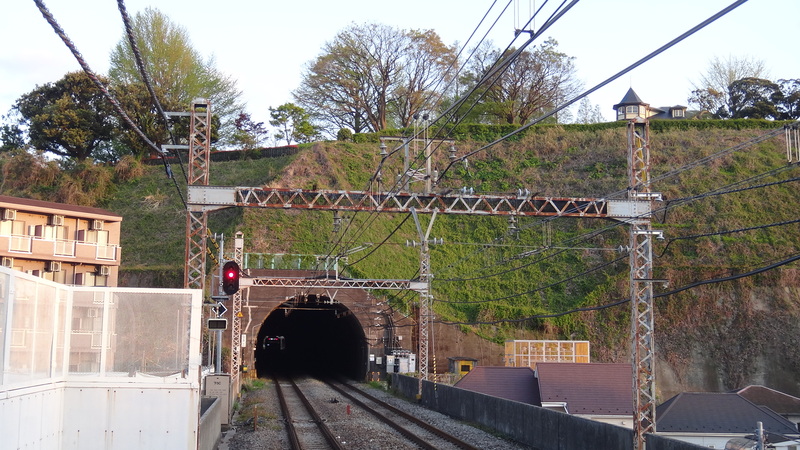 The “front” of the station faces west, down a broad avenue and directly in line of Imperial Household Agency, if you could see it through the trees. 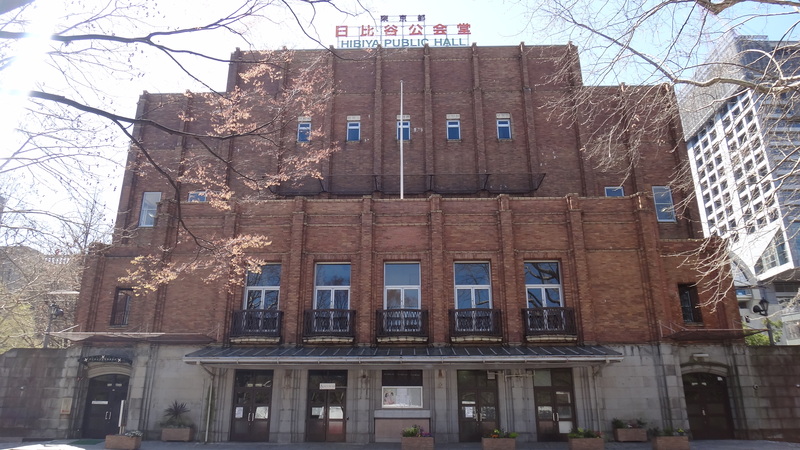 Hibiya Hall was completed in 1929 during the height of Art Deco’s アール・デコ architectural popularity. The building’s contemporary design was matched by its important cultural function; at the the northern end of the building is an auditorium which, at the time, was essentially the only professional concert hall in Tokyo, hosting countless international orchestras and performers. 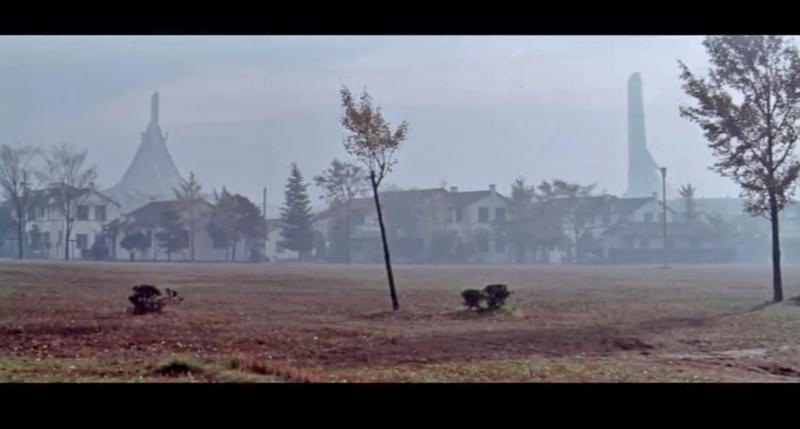 It’s role as concert hall is showcased in the 48th minute of Akira Kurosawa’s bittersweet, but ultimately life-affirming film, One Wonderful Sunday 素晴らしき日曜日 (1947). Today, the hall is still used as an auditorium, though it has been years since it’s been considered a top venue. This may change due to recently completed renovations. On the ground floor of the auditorium is a cafe, 「HIBIYA PUBLIC HALL ARCHIVE CAFE」, that serves coffee and light snacks (now closed for renovations, as of March 2016). Music is supplied by a hand-cranked phonograph that plays records popular during Hibiya Hall’s heyday. The cafe is worth a visit, as it affords a glimpse into the past, though I doubt coffee cost 500 yen in 1929. Outside the cafe, looking north, are the grounds of Hibiya Park 日比谷公園 Hibiya Kōen, the first public Western-stlye park in Japan. Hibiya Park is a popular venue for small festivals during the fall and spring. a.k.a. The Mother Ship (according to me). This enormous temple is headquarters of the Reiyūkai 霊友会 Buddhist movement, which was founded in 1925. Due to the frightening size and shape of the building (it has metal siding…like a spaceship! ), I’ve always has strange feelings about this religious group. Regardless, for pure wow-factor, I consider this on par with any building in Tokyo. When I first saw this building, I was a riding in a car when the golden hoops on top of the temple caught my eye. I turned my head just as the building moved out of sight. I had a “what was that” feeling, and for days was asking coworkers if they knew about this building. 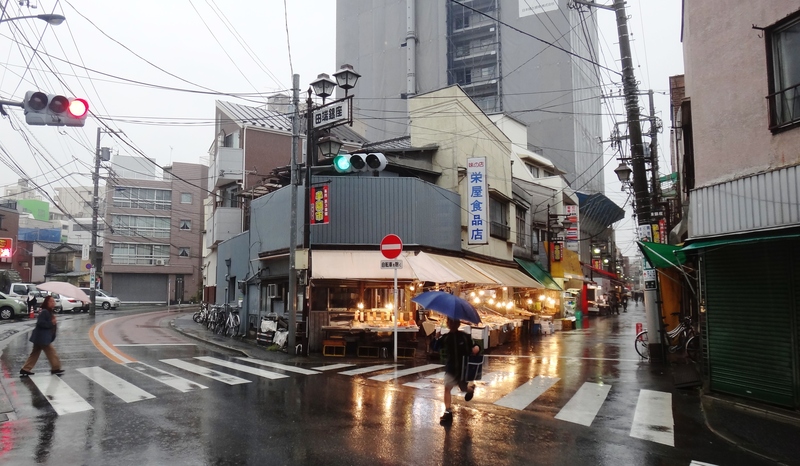 For its size, it keeps a low profile, partly because it is located in a neighborhood with relatively few shops or restaurants; Kamiyacho, the nearest subway station, is only busy during the week due to a number of office buildings. A recent visitor to this blog described the temple as “the large brown slant building can see from Tokyo Tower.” Sounds about right. 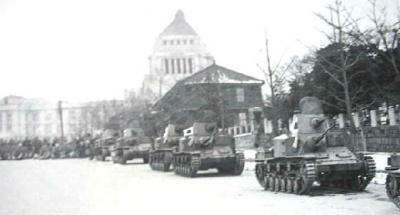 The building was completed in 1936, during the rise of Japanese militarism (the same year as the February 26 Incident 二・二六事件). 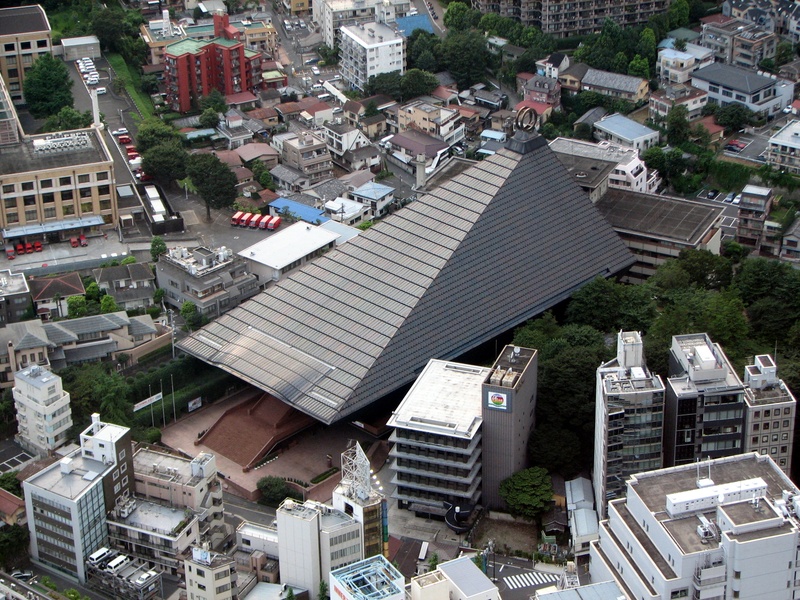 As such, the building retains a residue of Japanese imperialism that makes the sigh of the pyramid roof all the more interesting. 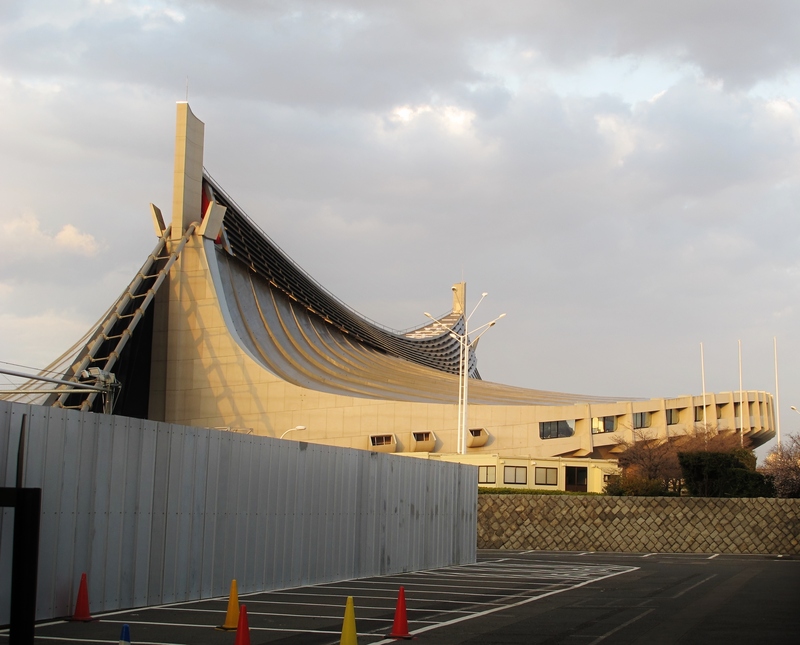 This stadium, which hosted the swimming and diving competitions at the 1964 Olympics, is another buildings that I recognized before setting foot in Japan. 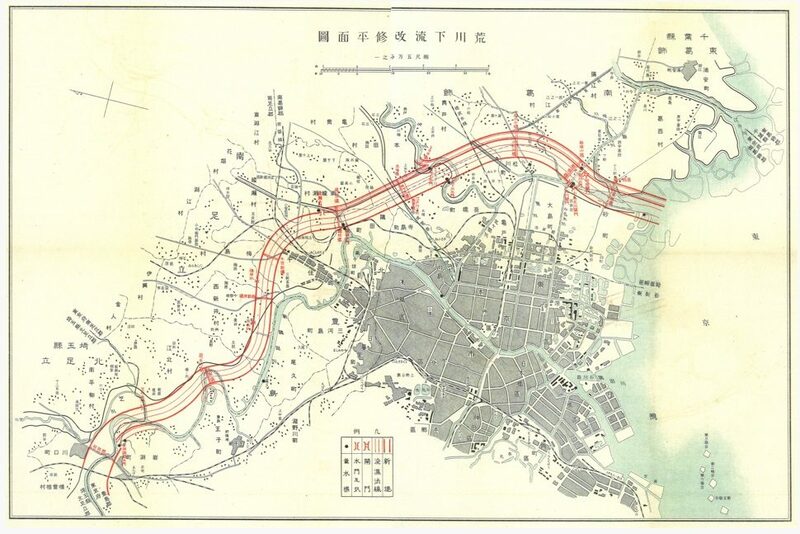 It was designed by Kenzo Tange, a hero of the aforementioned Metabolism movement, and father of the audacious A Plan for Tokyo, 1960 – Toward a Structural Reorganization, which hypothesized the future urban development of the Tokyo bay. Adjacent to the stadium (to the east) is a concrete park that’s home to many festivals – one time they trucked in snow for a snowboard halfpipe. Further to the east is Oda Field, the training ground for Olympians who were living at the nearby athlete’s villages. Now, Oda Field is open to the public. 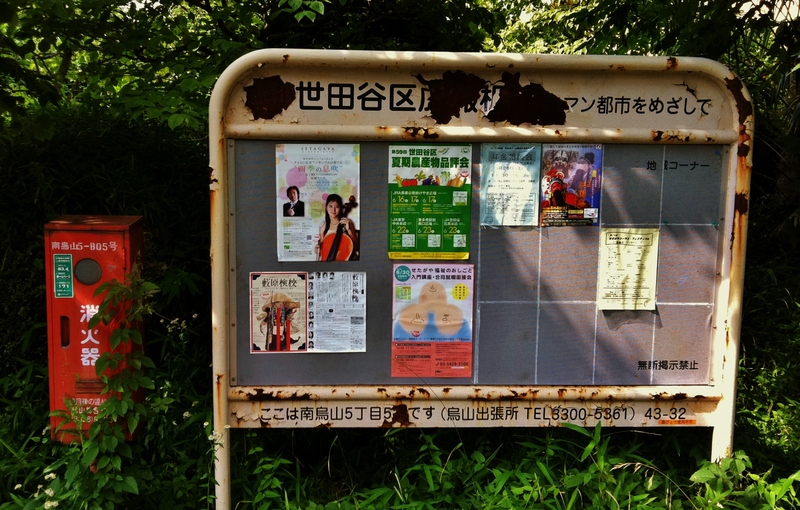 If you’re new to town, or looking for people to run with, check out Namban Rengo, a running club with a good mix of locals and foreigners, old timers and newbies. In addition to races, they train every Wednesday night at Oda Field. The skill level is quite varied, so there is a pace for almost anyone. 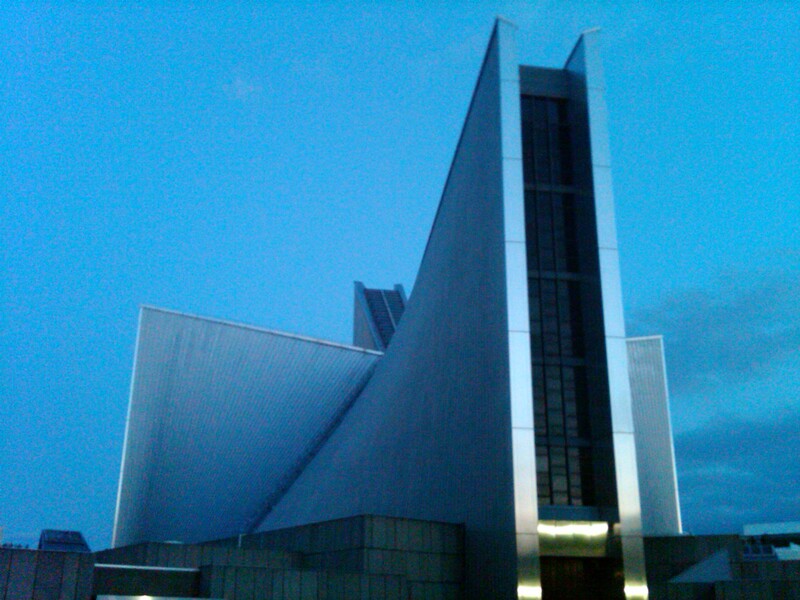 Heading north, near Waseda University 早稲田大学, we find another Kenzo Tange masterpiece, St. Mary’s Cathedral, which I’ve described in a separate post. In addition to being a beautiful structure designed by an influential Japanese architect, St. Mary’s is a reminder of Japan’s fascinating relationship with Christianity, which dates back to 1549. Despite this history, and despite Japan’s rapid Westernization during the Meiji era and beyond, Christians account for less than 1% of the population. As a contrast, Christians comprise 30% of South Korea. I know a few Japanese Christians, and we’ve never really talked about their religion, but it doesn’t strike me that they are any less Japanese for bring Christian. In today’s Japan, Christmas is so widely celebrated as a secular holiday that perhaps it makes being an actual Christian superfluous. Nearby, and on a similar theme, is the Zoshigaya Missionary Museum, a 1907 Western-style wooden building that was the home of John Moody McCaleb ジョン・ムーディー・マッケーレブ / J.M.マッケーレブ. 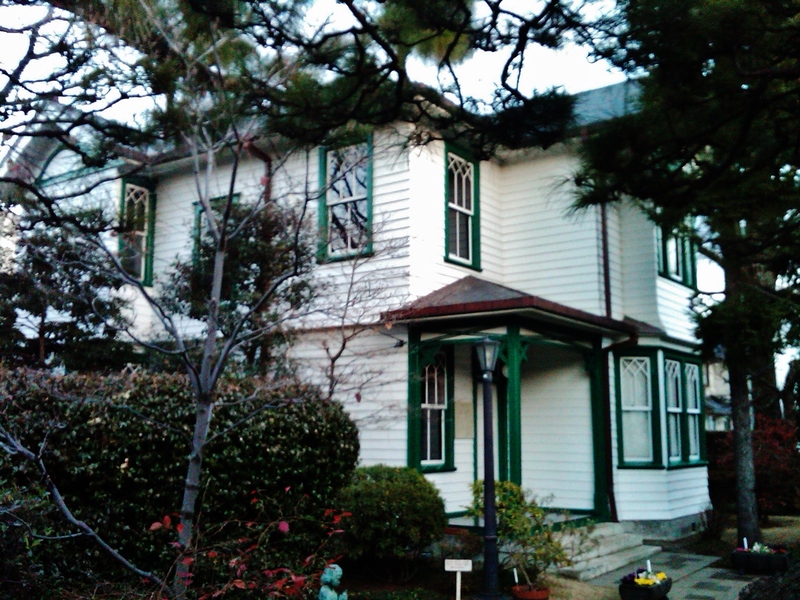 McCaleb was a Christian missionary from Nashville, Tennessee who lived in this house for 35 years until World War II forced him to return to the United States, in 1941. The museum is nestled in a residential neighborhood, near Zōshigaya Cemetery 雑司が谷霊園, and is just 1 mile from Ikebukuro Station. 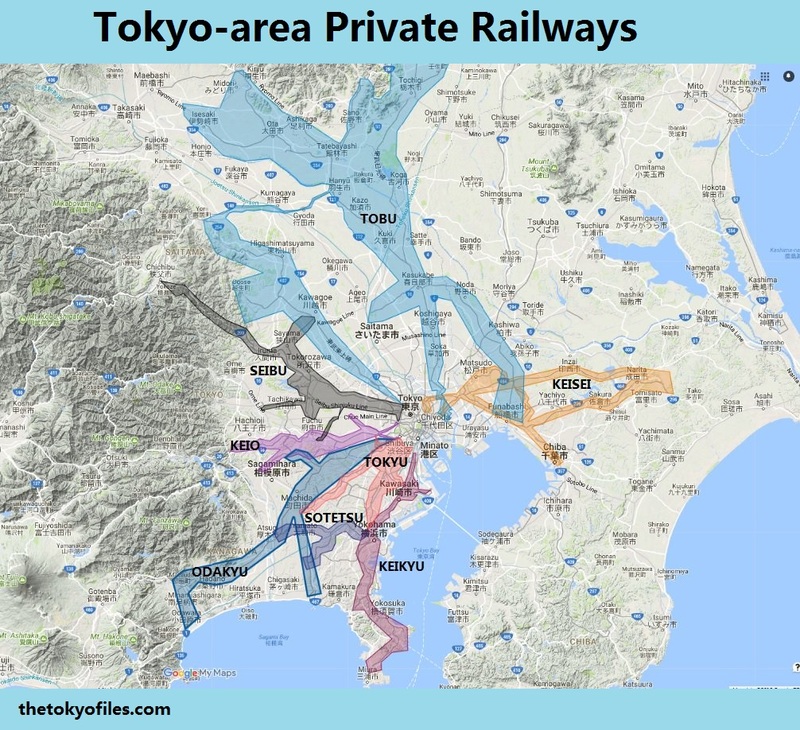 Fittingly, the closest rail line is actually an old-fashioned streetcar, the Toden Arakawa Line 都電荒川線 (pic 1, pic 2), which is worth riding just for the fun of it. The Western-style house is unusual for Tokyo – this is the type of architecture you’d expect from Yamate 山手, the bluff in Yokohama where many foreign diplomats and businessmen lived until the destruction brought on by the 1923 Great Kanto Earthquake. Some of the houses survived or were rebuilt, and can be visited today, such as Bluff No. 18 House ブラフ１８番館. 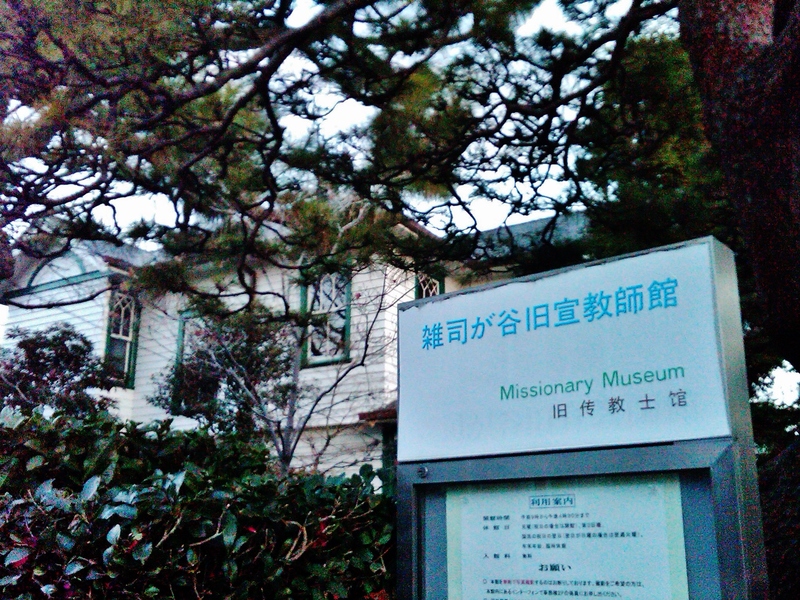 From the Missionary Museum we head northeast to Ikebukuro Station. 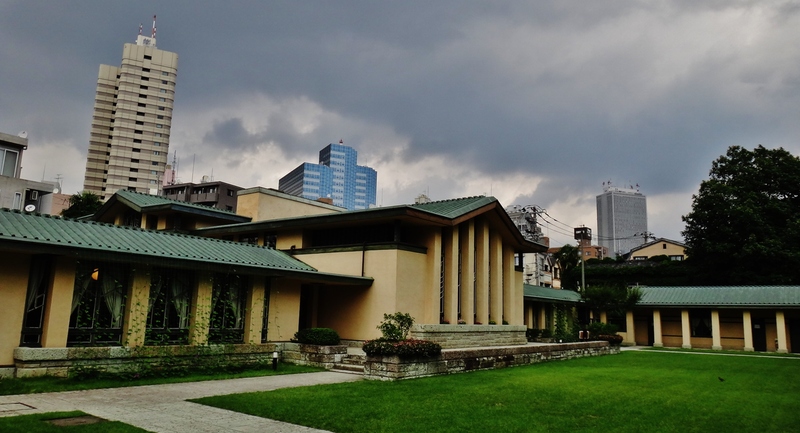 A 7-minute walk southwest from the station bring us to Jiyu Gakuen Girls’ School Myonichikan 自由学園明日館, which was designed by Frank Lloyd Wright in 1921. The building is open to the public, though the main hall is sometimes closed due to weddings or other functions. When I visited, a wedding was in progress, so I didn’t have to pay the 400-yen admission, but I was able to walk around the grounds and even poke inside some of the buildings. 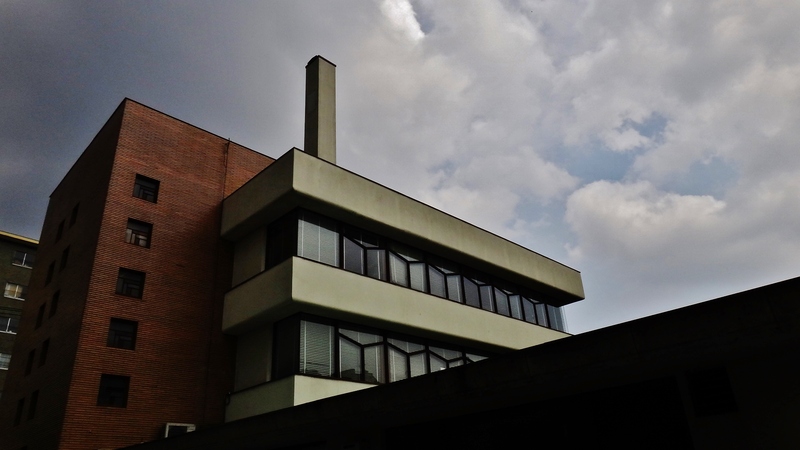 In addition to the lovely Wright building, the Fujin-no-Tomo-sha publishing company building 婦人之友社 across the street is an attractive structure reminiscent of Bauhaus architecture. OK, I broke my “Ginza” rule and choose a group of buildings. 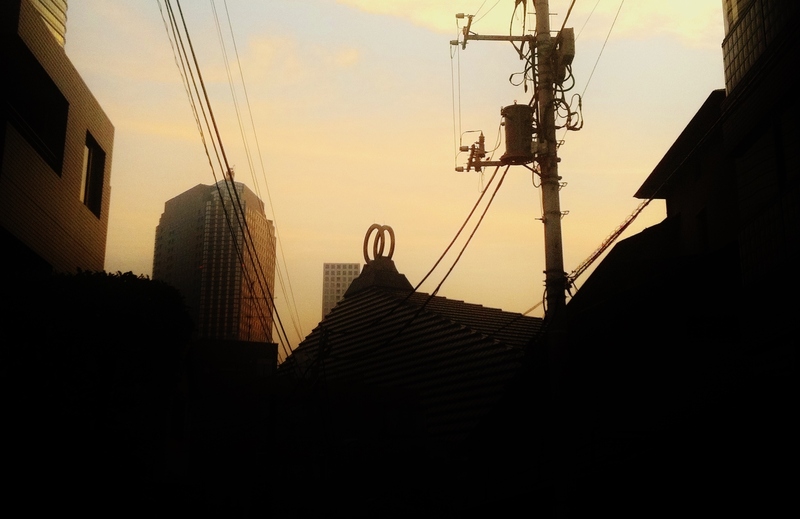 But that’s because Shinjuku is so remarkable. During the day, the view from the observation deck of the Tokyo Metropolitan Government Building (map) is worth the price of admission (it is free). And at night, I recommend the Peak Bar / Lounge on the 41st floor of the Park Hyatt Tokyo (Shinjuku), aka the “Lost in Translation” hotel. If you want, you can continue to the New York Grill on the 52nd floor, but I think it’s more expensive (and a bit fussier about dress code). My friends from abroad have always been more than impressed with the bar on the 41st floor. There is a neat exhibit at the Tokyo Waterworks History Museum 東京都水道歴史館 that shows the transformation of Shinjuku via a 3D model. This is a view from the south, with the water purification plant in blue at left (west). 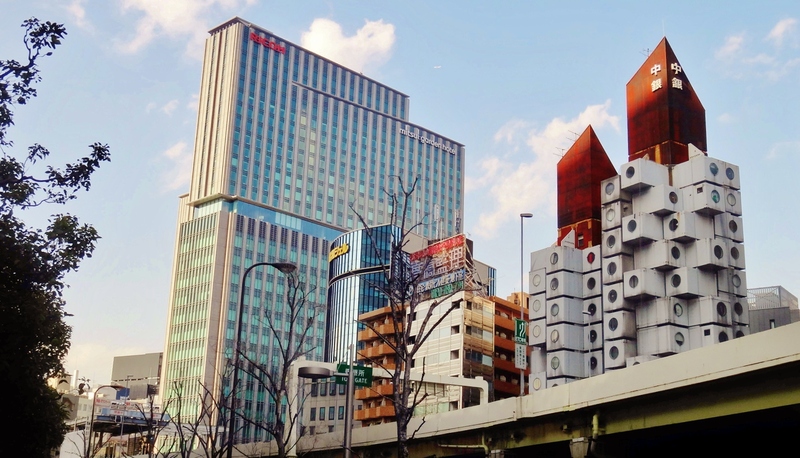 There are several neat YouTube videos that also show Shinjuku’s dramatic change. Here is one, which I’ve selected because it takes just 11 seconds to move from July 1969 To July 2004. In retrospect, it’s clear that my list is heavily slanted towards older buildings. I suppose I like the test of time to weed out buildings that are just fads. But I’m sure there are buildings so amazing/important/beautiful that it is CRIMINAL for me to omit them. Awesome. I love the Mode Gakuen Cocoon Tower. My kids call it the fingerprint. 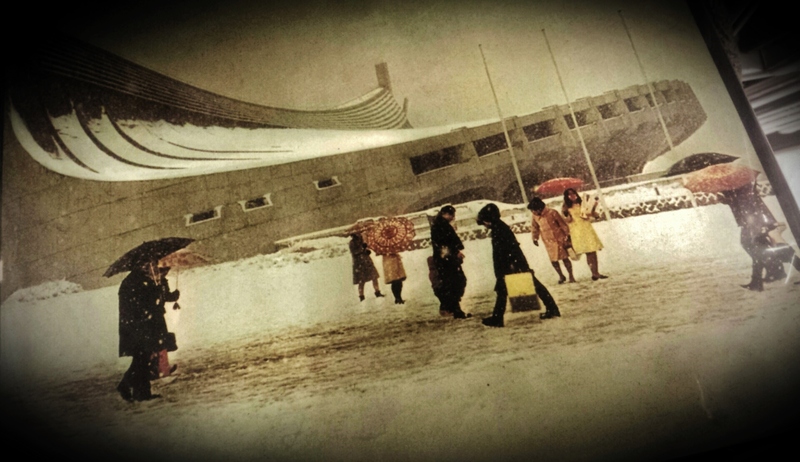 I am heading back later in the year and will definitely seek out more of Kenzo Tange’s buildings. My art history (in Australia) didn’t really cover any Asian architecture, and I just love his buildings. Thanks for all the great information. In my first visit, luckyly for me, they had a marathon and because of that i could walk around the whole stadium, includind the site for the torch, the track and the official seats. Yeah, I also had a bit of a fetish for the National Stadium ever since I watched the Tokyo Olympias movie and saw the opening ceremonies of the 1964 Olympics. A few years ago I ran a charity race that started and ended in the stadium. It was a very cool experience. The Meiji memorial picture gallery IS a very interesting bundling, and maybe I should have included it here. I did at it to the Google Map of interesting architecture linked to this post. Are there any other buildings that you would suggest? Hi! thanks for that post. was wondering from which book you’ve scanned those two pages? brilliant, thanks! just ordered it!